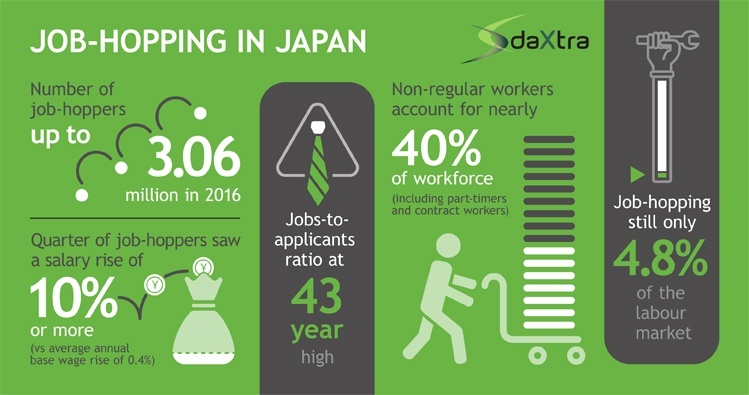 As 2018 reaches its midpoint, few in Japan would deny that the country’s old-fashioned recruitment industry continues to undergo rapid change. At the centre of this transformation is the gradual deconstruction of Japan’s long-standing ‘salaryman’ employment model – which many economists see as unsustainable in today’s digital economy. What’s a salaryman you may ask? For those of you unfamiliar with this term, it typically refers to a university-educated male who joins a reputable corporation upon graduation, say Sony, Nomura or Toshiba, and stays with that company for roughly 40 years until retirement. For better or worse, the forces of globalisation long ago dismantled this ‘employment for life’ model in most other developed markets. In fact, in places like the US, the model conjures images of the 1950s, a time when ‘company men’ were the primary income earners while many women stayed at home and looked after the family. One of the major downsides of the salaryman model is its inflexibility, which makes juggling career and family difficult in the rapidly changing digital economy. To climb the ranks of their chosen employers, Japan’s salarymen are expected to work long - some would say inhumane – hours. These hours include not only a long slog at the office, but also after hours socialising with bosses and colleagues. As such, most family management and child-related responsibilities fall to women, who drop out of the workforce in large numbers following marriage and children. The impact of this unequal system is two-fold. On the one hand, economists say it has contributed to an incredibly low birth rate. Japan is now an ageing society and many employers are run by older – perhaps too old – salarymen who aren’t in touch with the forces driving change in the digital economy. On the other hand, not only do many companies lose the talents of professional women, they also lose the contributions and creativity of young professionals who have the skills to innovate, and who are more in touch with the trends shaping the future. So, what’s changing? From my vantage point in Tokyo running the Japanese arm of a global recruitment technology firm, I’ll say this: just a few years ago, the general view held by Japanese society was that changing employers was a fundamentally ‘negative’ life event. Changing jobs too often demonstrated a lack of commitment, loyalty, consistency and dedication. But this is no longer the case. The stigma has faded. Of course, Japan may never end up like some other developed markets, where jumping to a new employer every two to three years doesn’t even warrant notice or comment. Such job-hopping is often applauded, and even expected, in some markets as the best way to gain new experiences and increase income. 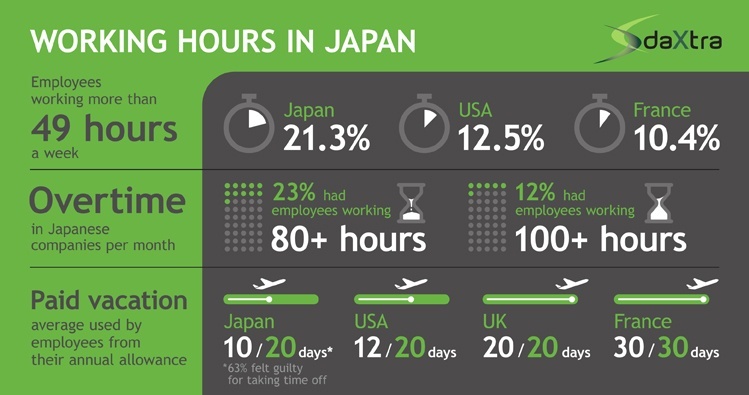 To be sure, job-hopping every two to three years is still seen as ‘jumpy’ in Japan. But changing employers every five years? That’s now not only acceptable but also seen as normal. To seize on these seismic changes in Japan’s recruitment market, both recruiters and RecTech leaders are investing in the world’s third largest economy. And in May of this year Japan’s Recruit Holdings, a diverse HR services corporate, bought US job search and employer review site Glassdoor for $1.2 billion – making a bold statement about its expanding global ambitions. In fact, these shifts provided the investment case for DaXtra to open an office here last year – the first global RecTech firm to do so. RecTech firms like ours are providing the parsing tools necessary for Japanese recruiters to make the candidate search more efficient and effective. The fact remains that manual processes still dominate the workflows of many Japanese agencies, a luxury only affordable in the old, salaryman dominated landscape. Today they need better tools to help them not only cope – but also compete – in a market with more frequent job changing among young and mid-career professionals. Of course, convincing change-averse agencies that they need new tools is an uphill battle, much like trying to convince island dwellers who have never covered their feet that wearing shoes – and paying for them – is not only necessary but better. To quote an old Japanese phrase: If you don’t enter the tiger’s cave, you won’t catch its cub. Such wisdom should inspire recruiters to embrace new tools to compete in a labour market no longer dominated by salarymen.